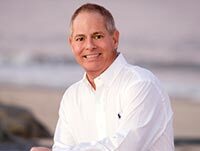 Jeffrey Fowler, Delaware REALTOR® Sussex Delaware Real Estate Sales - What does Agency mean? Until recently, if you were looking for a home to buy, you only had one way of working with a real estate agent. This involved having an agent or agents show you homes on behalf of the seller of those homes. As a buyer/customer, you were not represented by anyone except yourself. Negotiations over price and terms were entirely your responsibility. Now there is another way: Buyer Agency. This method of representation would enable you to have your Realtor® act on your behalf in all negotiations. This insures that your interests are upheld. You will become the client of that Realtor®, who will be bound by written agreement to be your advocate in finding and buying your next home. In some cities across the United States, Buyer Agency is employed in an increasing number of home purchases. It is not mandatory, however, that you choose this form of representation. You may continue to be shown houses by one or more agents who represent the seller and negotiate on your own behalf. Before you make up your mind, I recommend you read the definitions of the different types of Agency and make an informed decision. The Jeffrey Fowler Group would be happy to answer any questions you might have on Common Law Agency and the new law for Statutory Agency in Delaware. Please contact us for more information. The State of Delaware changed the Law in 2007 and now uses Statutory Agency. Please reference Delaware CIS Consumer Information Statement for more information. Traditional Common Law Agency is below. The agency relationship is based on one person representing the interests of another person. Real Estate agents are licensed by the state to represent a person for the sale or lease of a property. The responsibility of the real estate agent is defined by the state law relating to agents, the Realtors® Code of Ethics and general principles of agency law. The Delaware Courts strictly enforce the agency duties so that the client can rely on the agent putting the client's interest before that of anyone else. The courts also require that the real estate agent be fair and honest in all aspects of the transaction. The source of the compensation does not, in and of itself, determine agency. It can be paid by the buyer, seller or both. However, there must be disclosure and informed consent as to whom is paying, in writing in advance. In real estate transaction, an agency is formed between the Real Estate Broker and the client. The client generally works with one agent who is associated with the Broker. The client may be either a buyer or seller. Historically throughout the country, real estate agents usually have been representing only the seller in real estate transactions. That meant that all the fiduciary duties were owed to the seller, even if the agent was working with the buyer. This is accomplished through a system called sub-agency. The real estate company that lists the property is called the listing broker. The real estate company working with the buyer is called the sub-agent because the company actually works for the listing broker. Although the Buyer is provided service by a real estate agent, the buyer in this arrangement has no true agency representation. Agency duties are owed directly to the seller in all transactions where there is no Buyer Agent. This is true of most real estate companies in the United States. Buyers in this arrangement must be careful not to divulge any information that they do not want the seller to know, i.e., the highest price they will pay for the property. The system has worked well for many years. Provided that the buyer is aware that the agent represents the seller, the buyer should not rely on the agent for assistance in determining an offering price that is other than the asking price, or for any other advice that might not be in the Seller's best interest. Recently buyers have become aware that real estate agents have considerable knowledge that could be of great assistance in deciding what property to purchase. In many areas of the country, Buyer Agency has become as prevalent as the traditional Seller Agency/Sub-Agency type of business. When a buyer is represented by an agent, all the fiduciary duties are owed to the buyer and not the seller. The buyer has the freedom to discuss the value of properties, negotiating strategies and personal finances with the agent. The buyer can obtain the opinion of the buyer's agent concerning the condition of the property, the effect of improvements, the seller's motivation for selling, and other information which a seller's agent should not provide. A buyer's agent will make a commitment to make every reasonable effort to locate the property described by the buyer. This includes searching for homes that may be available for sale but are not listed with a real estate company. Although the traditional agent will work hard to find the perfect property for your needs, the traditional agent has some limitations because of the duties owed to the seller. Most real estate companies list properties for sale, thereby forming an agency relationship with the seller. The seller's agent is obligated to put the seller's interest first. Keller Williams Realty lists properties for sale, thereby forming an agency relationship with sellers. Throughout the listing period, the seller develops an increasing level of trust in the agent, who is obligated to put the seller's interests first. Keller Williams Realty may also form agency relationships with buyers, who develop an increasing level of trust in the agent, who is obligated to put the buyer's interests first. One example of a buyer agency is an agent working with a close relative, friend or former client. It is easy to understand how such a buyer would expect the agent to give advice and put his/her interests first. Should a buyer client be interested in purchasing a property that is listed with the same broker, a dual agency is created. Technically, dual agency arises when one broker (Keller Williams Realty) has a relationship with two clients who have opposing goals (buyer and seller). Very often the clients are working with different agents each of whom does not have a personal relationship with the other client. When a dual agency is formed, the Broker must immediately notify each client. If a dual agency arises, the clients and agents agree to limit the agency relationship so that the agents do not disclose any information that would create a negotiating advantage or disadvantage for either client. The agents must treat the interests of the buyer and seller equally. Dual agency sometimes happens, and when it does the agency relationship is altered. But everyone's goal remains the same - To buy or sell a property.